Cullen's riveting Victorian romance reveals a surprisingly forthright and intellectual heroine hiding behind a wallflower reputation. 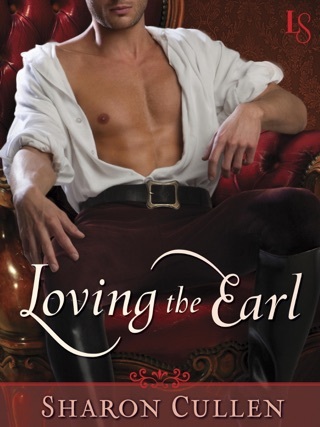 Lady Sara Emerson was accustomed to being overlooked while Meredith, her cousin, basked in the limelight of being betrothed to Gabriel "Ross" Ferguson, the Duke of Rossmoyne. Then Meredith was murdered, and the culprit was never found. Sara spent the following two years in the country, taking care of her uncle, while Ross gladly fled to India on an all-too-brief diplomatic assignment. When Sara starts receiving threatening notes, she travels to London to see whether Ross can help find out who's sending them. Ross tries to take over the investigation, but Sara insists on being involved; unused to people who push back against his instructions, he reluctantly agrees. Soon he realizes that he enjoys their spirited conversations and no longer thinks of Sara as "plain." After he demands that she stay with him and his mother so that he can protect her, their late-night talks quickly become romantic interludes. 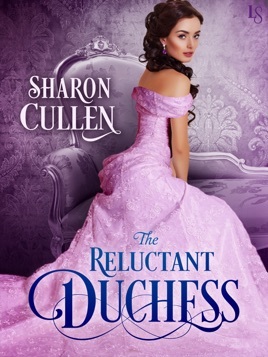 But Sara believes that she could never fulfill the role of a duchess: she detests the frivolity of London society and is long past her debutante days. The true depth of the characters is revealed through dialogue that eschews Austen-style witticisms for thoughtful discussion and quiet but determined clashes of will. Intense romance and intriguing mystery make this a tale to be savored. When Lady Sarah Emerson started getting letters about her cousin's death, she could think of only one person to go to for help, her cousin's former fiancee Gabriel Ferguson, the Duke of Rossmayne. She soons finds herself living with the duke and his mother in order to protect her from the letter writer. Having always thought the Gabriel was an intimidating man, she is confused by her attraction to him. Having never really noticed his former fiancee's cousin, Gabriel soon wonders how he could have missed seeing the beautiful and smart woman that was right in front of him. Planning to help Sarah and go back to India, he soon realizes that he might have a reason to stay. But he can't even begin to analyze his feelings until he knows that Sarah is safe and they find the person responsible for the letters. Could the madman that brought so much pain be the reason these two find an everlasting love? I loved this story!! I like that we have a wallflower that ends up blossoming! Sarah had always stood in the shadow of her more outgoing cousin. She didn't like going to parties and mingling with the ton. She really made herself invisible to those around her. But when she found something in which she had a passion for, she was a completely different person. She needed to find the person responsible for killing her cousin, who was like a sister to her. Breaking out of her comfort zone was much easier to do when she had something to fight for. I really liked Gabriel. He was reluctant to have Sarah participate in the investigation, but soon learned that there was no stopping her. It was better for her to be with him, than have her go off on her own. He soon learned that she wasn't as meek as he had thought. He allowed her to grow into the woman that she was meant to be. 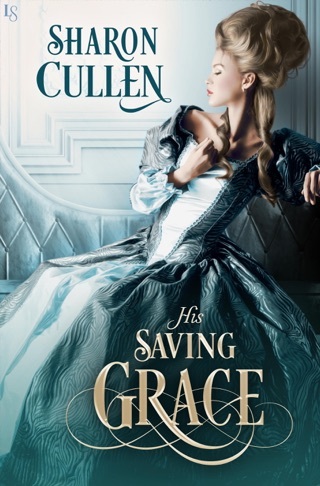 I'm really hoping that Montgomery will get his own story, but whatever Cullen puts out next will be on my must read list!! I’m a fan of Cullen’s Secrets & Seductions series, using spies and romance to wind a tale. In this story, we meet Sara, reeling from her cousin’s murder and now receiving some threatening letters of her own. She turns to Gabriel, Duke of Rossmoyne, her cousin’s former fiancé for help, and the stage is set. Sara was an interesting character: less sparkly than her cousin, she is a shy and calming presence, not demanding of bow and scrape. When his fiancé was murdered, Ross told Sara’s family they could turn to him for assistance, and now it appears that the murderer is targeting Sara. So, he takes action, moving Sara into his home and contacting his friend who specializes in investigation. Ross is brash, forward moving and not always careful with his words: all fitting of a man of his title and station. He’s not uncaring however, he just wants to be at sea and not tied down to the constraints of society and the tonne. These two are adorable together: we find a solid sense of Sara through interior monologue and concise observations. She’s truly the lynchpin in the story, even as Ross brings some flash and the occasional kerfuffle. He’s intrigued by Sara the more they get to know one another, and that reliance becomes one of desire and enjoyment of one another, rather than a dependence for protection. Twists and turns with plenty of questions surrounding the threats and why, this is a wonderful story that will leave you wanting more.